New items in the shop! 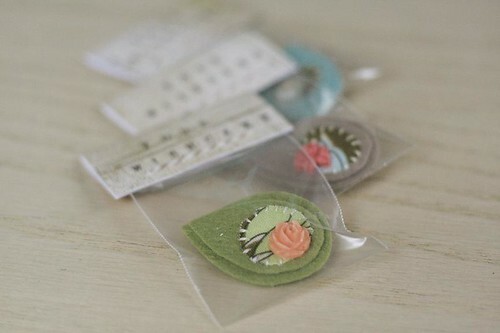 Quirky felt pins, $4.oo/each - available here. I've been attempting to create some new and more unique items for the shop. I have so many bits of fabric, felt and such - and as I was sitting around the other day, these pins were what I came up with. They make me happy because they're pretty random, but sweet. I hope to have a bunch more made in the coming weeks! I like the idea of creating things that are completely one-of-a-kind. Even if I set out to make one that looks the same, it will still have it's own shape and bits that are different than the one before. And, as always, packaging is half the fun. Maybe I should just package things for a living. Because I'd be all over that. these are so adorable! i love all of your ideas and crafts! I almost got my degree in packaging - I thought it'd be such a fun career. Thanks for your comment on my blog - so sweet of you! We should definitely meet up one day since we are in the same area anyway. If not, maybe I'll see you at a film festival event one of these days (not that I go to very many but ya know..). 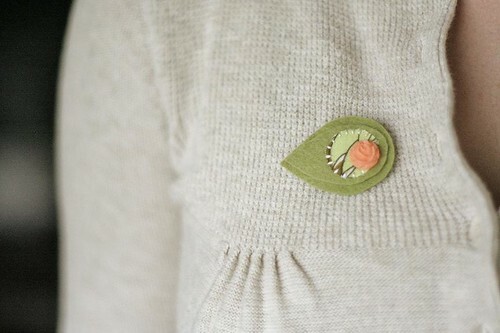 Oh, those pins are super cute! :) I love when you set out to make something it comes out brilliantly, doesn't it make you feel all warm and fuzzy on the inside? Yay! These are so pretty! I love the little flower. Oh my gosh these are adorable! They look so professionally done. Love them! Wow. Do you get how crazy talented you are?? These are lovely. I wants one! Also, I tagged you if you feel like filling in some all about you facts! oh i love the new pins! :) they are so cute! Very cute! 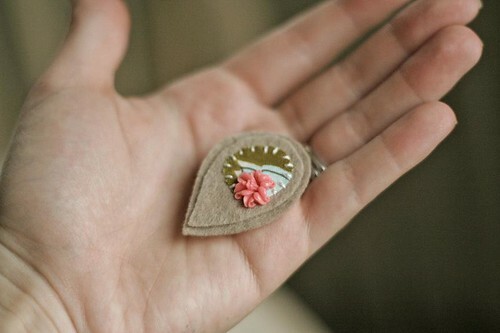 I had a few brooches up in my shop a while back; hand-sewn using vinyl pleather and pretty little vintage buttons. My favorite thing about them was that they were all one of a kind. Things are much, much more fun to make that way! I took a packaging class in college and it was fun! Most of the students in the class were majoring in packaging science. You're so crafty! I love those!